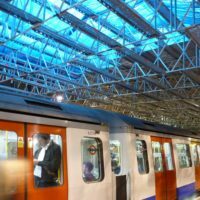 DESSA offers efficient lightweight temporary roofing, encapsulation solutions, aluminium lattice girders and safety products. DESSA’s unique and distinctive aluminium solutions are suitable for not only grandstands, stages and events but also public utility works, local authorities, government buildings, historic buildings, highways, bridges and industrial market sectors. 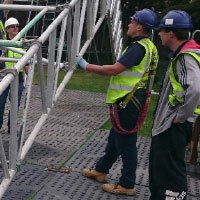 DESSA (Design, Engineer, Supply, Safety and Access) was founded in 2010 by a team of leading UK scaffolding experts. DESSA has grown to be a major supplier of temporary roofing and cladding systems, aluminium lattice girders, scaffold accessories, site stairways and safety products. DESSA became part of the Altrad Group of Companies in 2015 and continues to develop exciting, innovative and cost effective solutions. 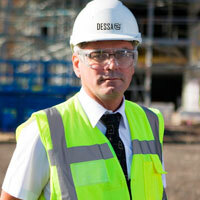 Offering design support services, DESSA has become the one-stop solution provider to contractors at all levels. DESSA products are continually developed to ensure the best value and user experience. All products provide excellent safety features with the added benefit of labour savings and quality in manufacturing. By design, DESSA products are manufactured in a TUV approved QA environment and are fully traceable to source. All DESSA products are carefully made to avoid problems which may arise from the aluminium welding process – heat affected zones are minimised and bolt holes are placed to avoid them. All products are tested for accuracy after manufacture to ensure unrivalled consistency. A proven range of systems with over 20 years of continual use in extreme climatic conditions. 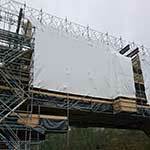 All ranges are lightweight and designed to be erected without the use of a crane. 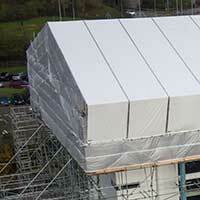 Multi-purpose weatherproofing fits roof and scaffolds alike and Altrad DESSA temporary roofing can be erected as mono pitch, duo pitch or vaulted configurations using 40cm, 70cm, 78cm and 133cm beam options. 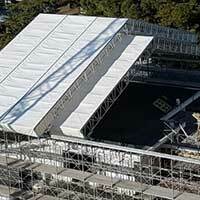 Unique boltless technology developed by Altrad DESSA means entire roofs can be erected without the use of tools. Altrad DESSA roofing is suitable for use with any scaffold product and maximum stock utilisation is ensured as Altrad DESSA roof systems employ universal beams that can be used for everyday scaffolding tasks. A huge range of general purpose scaffolding beams available in 40cm, 70cm, 78cm & 133cm depths and from 0.5m to 8m in length. Lightweight and economical, these beams are manufactured to the stringent requirements of EN1990 ensuring every beam can be traced individually. 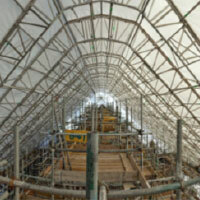 Altrad DESSA beams are compatible with tube and fittings and all modular system scaffolds. An essential part of any scaffolder’s toolkit, the safety platform allows the safe erection of the next lift. The OneUp™ is a fold-flat item for easy handling and has an integral ladder to suit system scaffold as well as traditional tube and fit scaffolding. The non-slip, light-weight platform can carry 175kg and should be used in conjunction with relevant PPE. The RANGER™ stairs system is a quick and easy alternative to ladders. Articulating stair units are designed to suit system and traditional scaffolds. Suited to longer scaffold projects where a solid stair case is more desirable. Designed to be used with your own stocks of Tube and Fitting scaffolding equipment, One Bay from DESSA offers a very easy to handle Stair Unit that provides safe access and egress in compliance with all current legislation. All components weigh less than 25kg and One Bay features deep non-slip treads throughout along with a fully interlocking system and fully compliant to BS EN 12811-1:2004. The Portable Stair is specifically designed to provide quick and safe access in stairwells and any open voids. If you are in need of a flexible Temporary Stair Unit System, these portable stairs are the solution. Manufactured by DESSA exclusively for Trad Safety Systems. Extensive industry experience at management level as well as within the design team places DESSA in an excellent position for its clients. 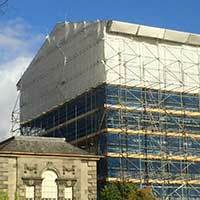 DESSA offers a full design and check service covering scaffold projects, temporary roofing projects and bespoke product design. This service is backed up with site visits when required and not limited to DESSA products, other proprietary systems and temporary works designs can be also checked. CUSTOMER FOCUS AND INDUSTRY EXPERIENCE ENABLES DESSA TO OFFER A HIGH LEVEL OF CUSTOMER SERVICE AND OFFER A FULL RANGE OF TECHNICAL, PRODUCT AND SITE SUPPORT SERVICES. "Thanks for your collaboration. Impeccable! ". "DESSA always adds value to what we want to achieve". "Really helped sell the rolling out erecting method". "Creativity is just connecting things". Company Registered Number: 7049935 | VAT Registered Number: 104 2660 55.